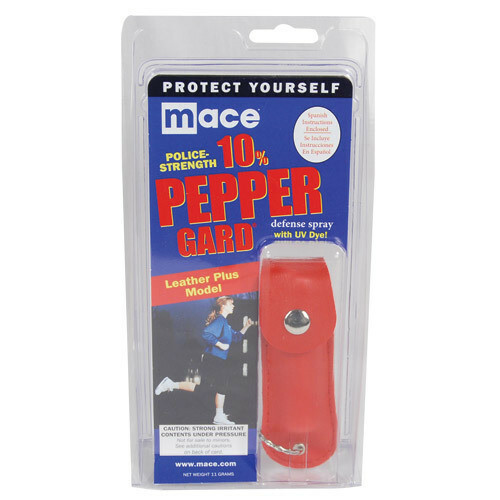 MACE 10% PEPPER GUARD is a superior formula of high-grade OC pepper designed to make the eyes slam shut, causes uncontrollable coughing and choking, plus a painful burning sensation. Attractive Leather Plus model fits easily in pocket or purse. Features glow-in-the-dark locking safety cap and keychain. 15 gram unit sprays up to 10 feet. Contains 5 one second bursts.